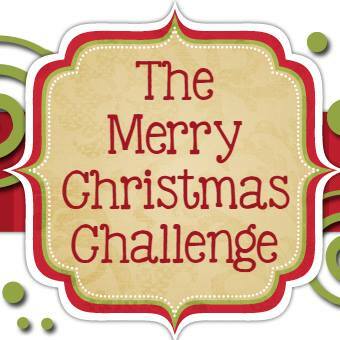 this challenge will bring us into our winter break. This way we will have time for the holidays and family fun things. 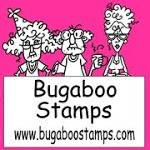 our sponsor this challenge is Bugaboo Stamps.. I am using Winter Penguin Trio for the image.. I die cut the red card stock with Simon Says A2 die. I used My Favorite Things stitched rectangle and used the banner dies. I stamped the sentiment from Paper Trey Ink. 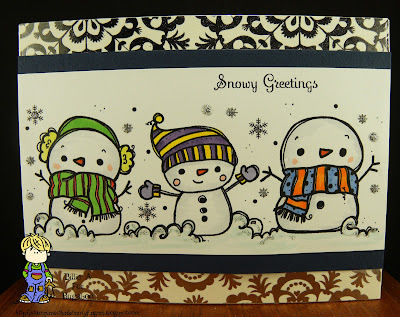 The image is colored with copics and I added sequins with silver Nuvo drops for the snow flakes. I added half pearls to the banners and tied a ribbon at the bottom of the card. Oh I added glossy accents to the heart and beaks. 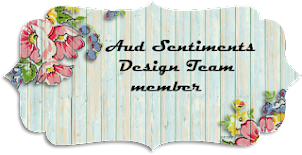 I hope you have a Christmas card so you can play along with us at Aud Sentiments. I decided to take a tag and make a card out of it.. I took a scrap of card stock and cut around the card stock/tag and scored about 1/2 inch down on card stock side and adhered just that 1/2 inch behind the tag so that you could lift the tag area and write your sentiment on the inside. You can see the photo below this one for a side view. Before the back was added I took the tag and dot embossing folder and embossed it. I then took some scraps from the My Favorite Things die and stamped the sentiments on different colors and added them to the tag. 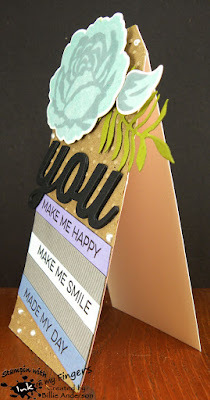 I die cut the YOU from MFT and layered them 3 times and then added YOU to the tag. I stamped the flower from Birch Press and bud with Altnew inks and die cut them out. 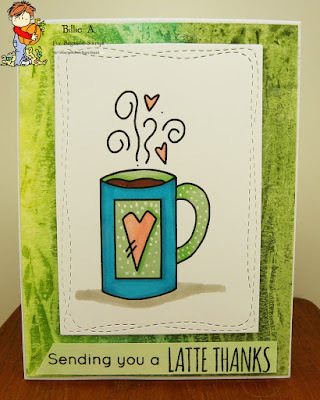 I took a leaf from Stampin Up set and added this under the bud. I added Spectrum Noir glitter pen all over the flower and bud. I finished the front with some Nuvo drops. 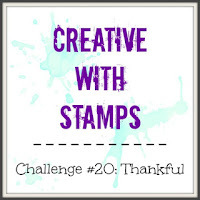 I hope you play along and enter your NOT SQUARE card over at Inspiration Destination. End of November.. I hope you had a great Thanksgiving and got your favorite pies and meats.. I love turkey (the white meat) and cranberries.. I love having a nice turkey cranberry sandwich days after.. yum. This is another OLD wooden rubber stamp that I mounted. I have no idea who this is by.. But it's a cool stamp. 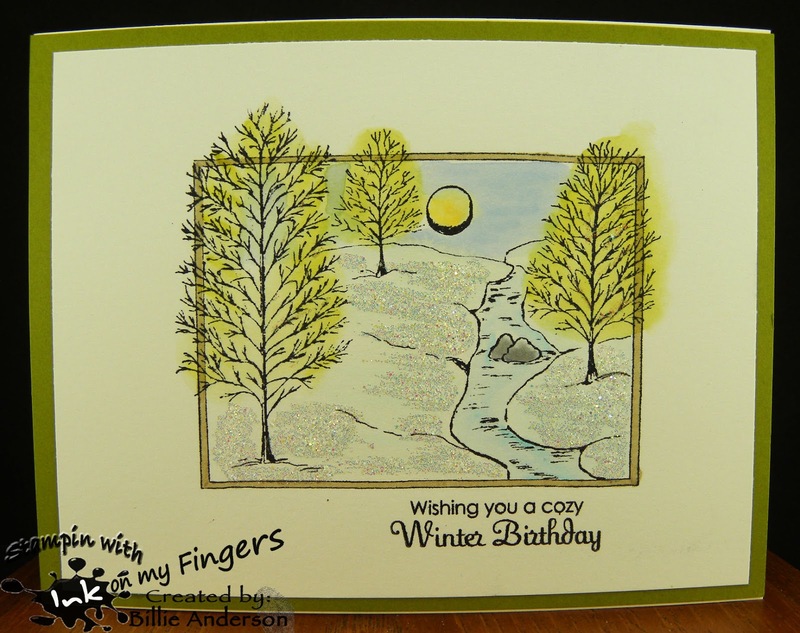 I stamped the image in black ink and then using my Zig markers I colored it soft colors and added some glitter for the winter snow ice look. I added Paper Trey Ink sentiment. Oh my where has this month gone?? It will be Christmas in no time..
and as usual I am not ready.. I know you will love the Green team.. The challenge this week is ANYTHING GOES.. WOO HOO!! Since this is a busy time of the year.. I thought why not do a simple card.. 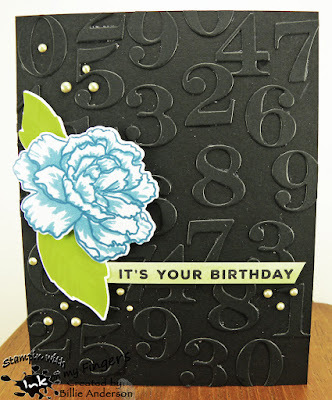 This is a Simon Says pre stamped panel.. I just painted the panel and used a white gel pen to give some highlights.. 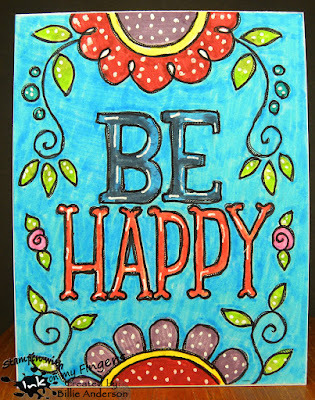 It was so simple.. Just sit and color.. I think I will stamp ahead some panels so I can just color and use as needed. I might use that as January.. New Years resolution.. But resolutions usually don't work for me. manly because it's focused on loosing weight.. that doesn't seem to happen.. Especially with Valentines day following in Feb.. CHOCOLATE!! .. Crafting panels might work.. We'll see. I hope you can play along. 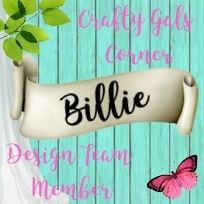 Head over to the Craftaholics R Us site and see the Green teams inspiration..
Tuesday at Bugaboo store is new release day. This is image is just in time for Christmas. 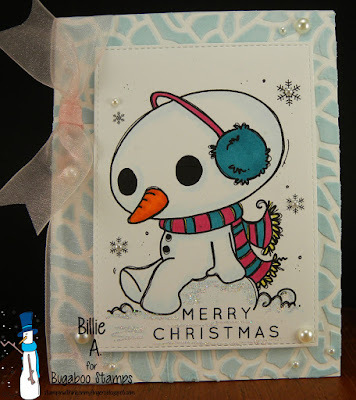 Now how cute is this lil snowman?? 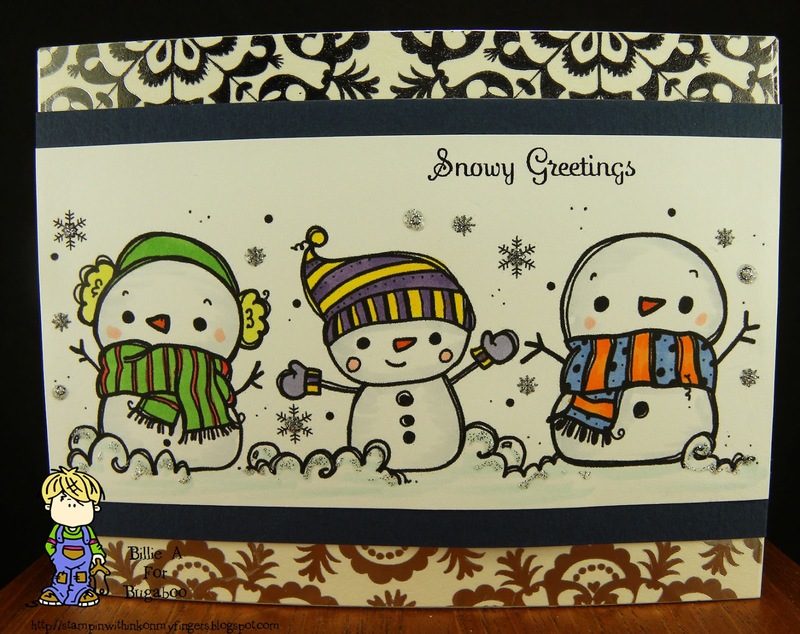 so darling and super fast to create since most is white so just a hint of snow color. I used copics for the coloring. I used My Favorite Things stitch die and added a ribbon and half pearls. I did add a little glitter to the snow below the snowman. The sentiment is from Simon Says. 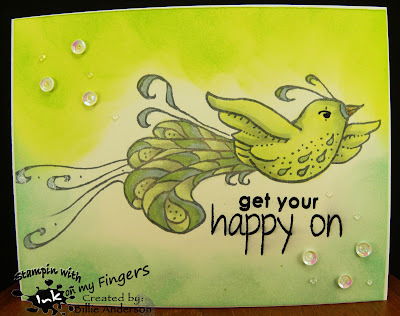 The background was created quite awhile ago using texture past tinted with Stampin up ink and a stencil. November is sure going by fast.. Christmas is just a month away... 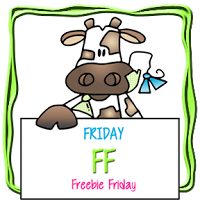 But at Bugaboo it's Free Friday so you're in luck for a free image. 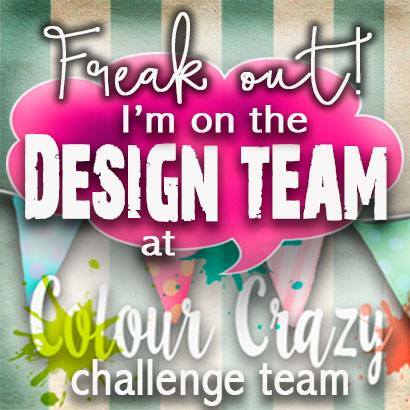 You can check out the design teams creations over at Catch the bug.. This is the free image "Cocoa cup"... BUT I made it a coffee cup.. I don't drink cocoa.. but love coffee so that is what I did. You could even made it tea if that is you favorite hot beverage. I colored the image with copics and then used a white gel pen to give dots. 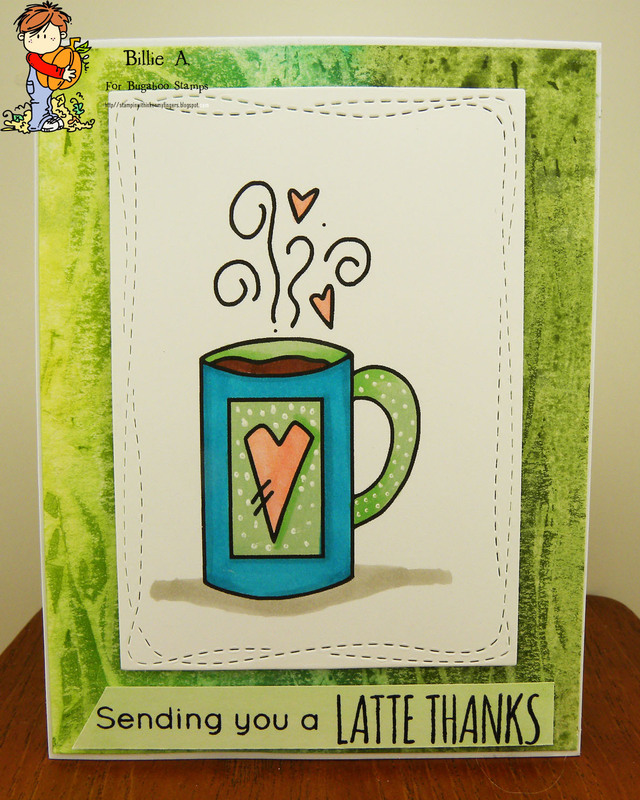 I added Spectrum Noir sparkle pen for the hearts and coffee. I used the Simon Says wonky die. I used a Simon Says sentiment. A few months back I made a bunch of these backgrounds in different colors and so now I thought was a good time to use one.. To make the background you take water color paper and put water color paints in your choice of colors all over it and then take plastic wrap and lay it on the wet paint and then gather it up and pat it down till the whole piece is covered in scrunched up plastic wrap. Set it aside to dry and then remove the plastic wrap and you get a cool design. 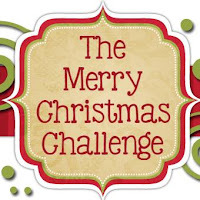 We're back... the Holy and Ivy team with another challenge at The Merry Christmas Challenge #44. 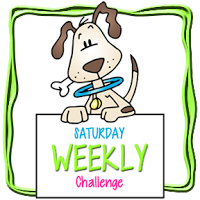 Again we are a weekly challenge and every week the same.. 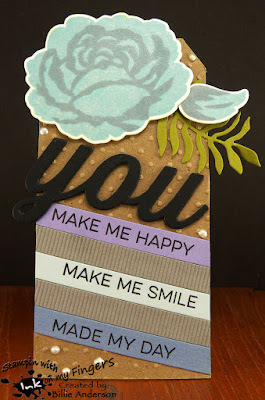 Check out the Holy and Ivy creations over at TMCC blog. This is my Christmas card. I really wanted to add some sequins but as I laid them out to see how they would look they just didn't look right. So again this is a simple CAS card. I used an old wood block tree stamp by Denami Designs, and Simon Says sentiment. 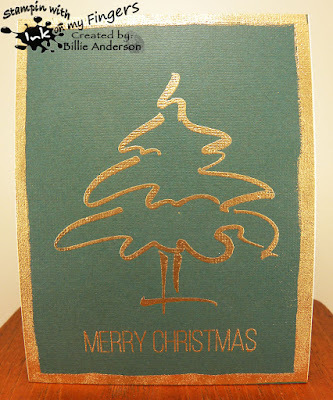 I used Simon Says gold embossing powder. 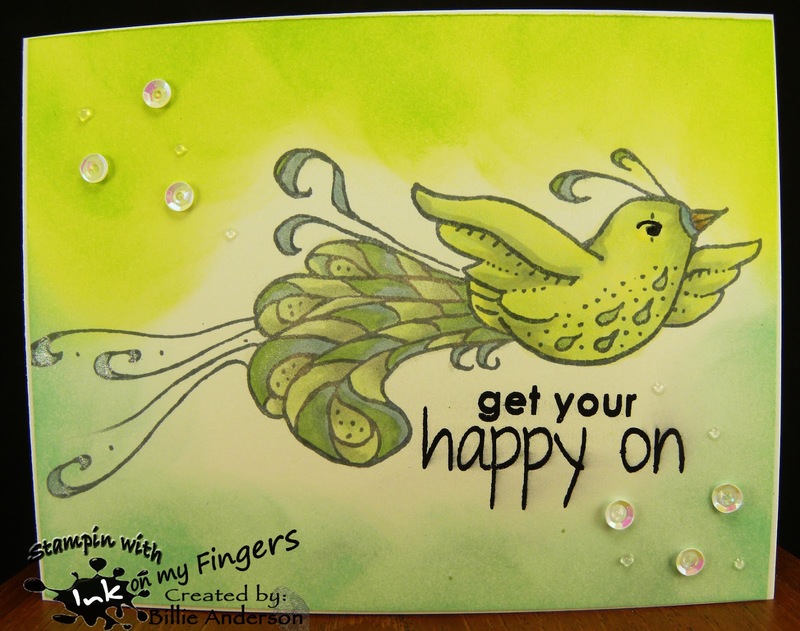 To give more interest I used my Embossing pen and went around the edges free hand and then added the same embossing powder. It really looks good. I don't think my lighting is right cause I see a glare on the paper. But it is pretty in person. 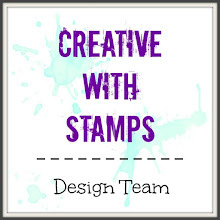 I don't have hot air balloons or airplanes.. but I do have birds and since I am trying to use OLD wood block red rubber stamps and this one is by Stamp graphic.. I chose this bird.. It's up in the air.. I colored this with Copics and added a little Wink of Stella. I then stamped the Tech. Tues. sentiment. I went around the edges with Ranger inks. Added sequins with a dot of Nuvo drops in the center. I love using old stamps. 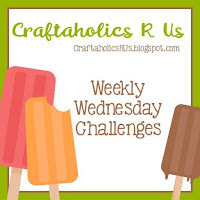 I hope you can get over to Sunny Day Crafting and see the Yellow Teams creations. Welcome to Bugaboo New Release. Just in time for some cute darling snowmen for those Holiday cards. You can check out the design teams creation over at Catch the bug. This new release is called 3 snowmen cute huh. 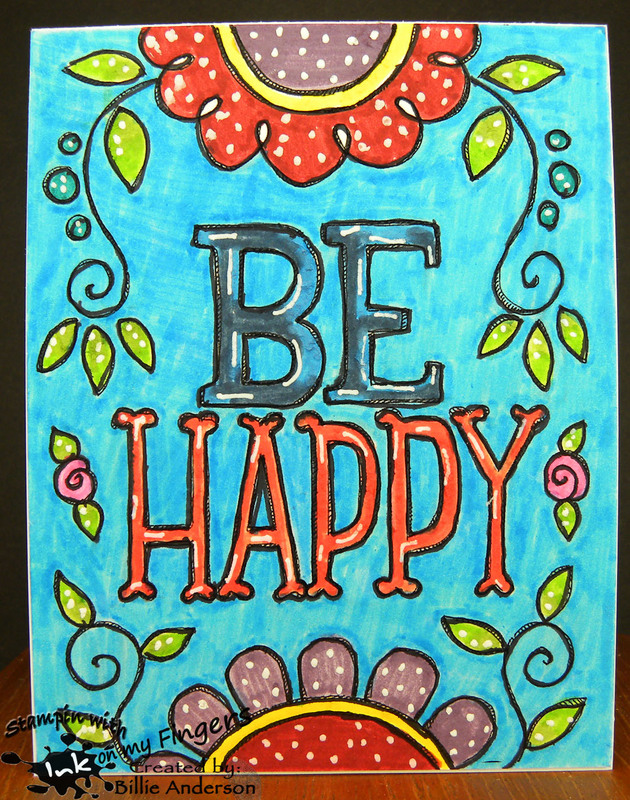 I colored the images with copics and then added a Paper Trey Ink sentiment. I added some Nuvo silver to the snow and snowflakes. This was a very easy card to make. It's time for another challenge at Catch the bug..
Today we have a BINGO challenge card. 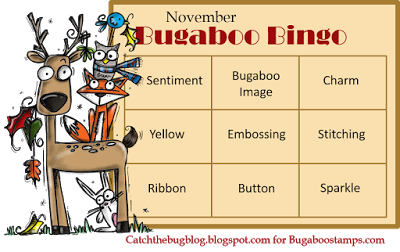 Here is the BINGO card for you to follow..
OH MY I knew I wanted to use this image - Funny Pup 02 so I looked at the BINGO card to see what and how I could use it.. 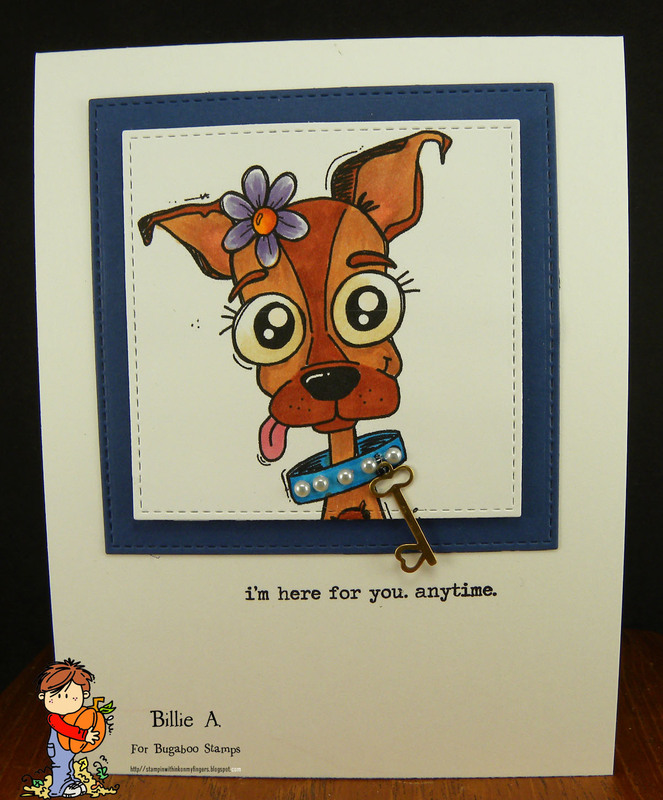 I hope play along and enter your card over at Catch the bug. 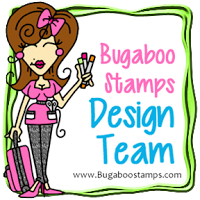 It's Friday so at Bugaboo it's Free Friday..
You can see the design teams creations over at Catch the bug.. This Free Friday image is "Ruby bubble trouble".. I colored the image with copics and added white gel pen lines for the tile looking floor. I added Nuvo drops for the bubbles and Spectrum Noir Sparkle pen for the bath foam. The background has a hint of green which is done with Quick Quote chalk ink. The sentiment is from Tech. Tues. This is my card. 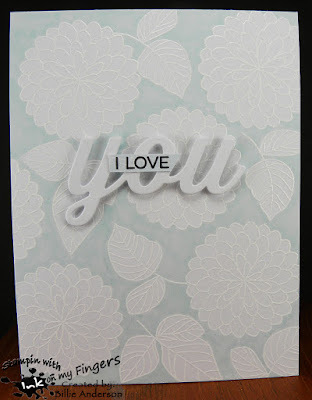 I took Simon Says flower/leaf stamp and white heat embossed on a white card base. I then took a copic BG10 and colored in the background. I went over the flowers only with Spectrum Noir glitter pen. 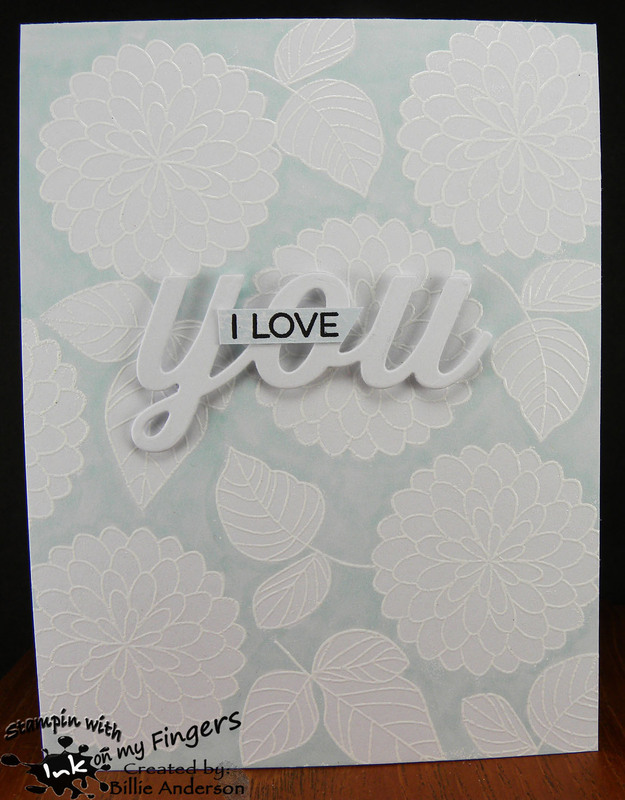 I die cut YOU from My Favorite Things and then stamped I LOVE from the same set. I layered it on the card. I which you could see this in person. It's so pretty. I will be doing this again. I like the copic BG blue cause it's not solid so you can see a little of the white coming through. I didn't want to go over and over cause I didn't want a strong BG color just a light tint. Cant wait to see what you all create. Well it's almost my birthday (20th) and Thanksgiving.. So following the Thankful theme mid month reminder.. I used my cloud template to create the background then used Lawn Fawn grass hills and some scraps of paper. I used Close to my heart bunnies and fussy cut them out. I took Mama Elephant balloon, birds and flowers and die cut them out. I colored all of the images with copics and the sentiment is two parts.. Life looks like this from Tech. Tuesday and Thankful is from Simon Says.. It was fun creating this scene.. The bunnies I won past spring time from HeARTful stamping blog which Chris is a Close to my Heart demonstrator. .